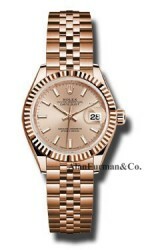 Rolex Watches for Sale Since 1985. 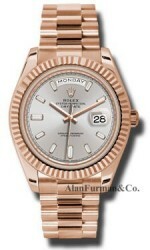 We discount authentic Rolex watches including Datejust, Submariner, Gold President in Men, Ladies, and Midsize models. Every Rolex watch we sell is guaranteed to be authentic and is thoroughly inspected before being shipped to you. Our fine watch division offers spectacular discounts on Rolex watch models and every Rolex is either stocked in our inventory or is readily available in a matter of days. 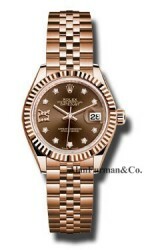 Call us today to get pricing and availability on any watch model not shown. 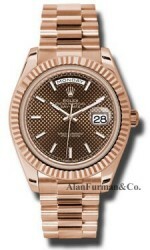 In London, England in 1905, Hans Wilsdorf produced the first reliable wristwatch, challenging the popularity of its much more prevalent rival, the pocket watch. 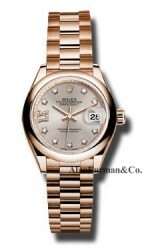 He equipped elegantly designed timepieces with precise movements manufactured in Bienne, Switzerland and then sold them to jewelers, who would place their own names on the dials. In 1908, these watches had become so popular that Wilsdorf opened his own office in La Chaux-de-Fonds Switzerland and trademarked a name for his company a few years later. He invented a name he thought sounded easily pronounceable in any language, that would easily fit on the dial of a watch, and that sounded similar to the sound produced by a winding watch: Rolex. 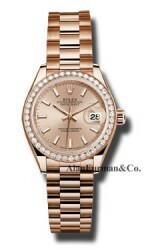 Since its humble beginnings, Rolex has become synonymous with luxury and achievement in horology. 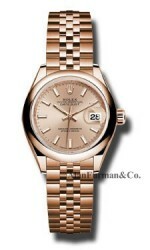 Rolex became the first wristwatch to receive the Swiss Certificate of Chronometric Precision in 1910. Today, Rolex is the single largest luxury watch company, retailing in over 100 countries and producing an average of 2,000 watches per day. All Rolex watches are new and come with a 5 Year Parts and Labor Warranty from Alan Furman & Co. Alan Furman & Co offers a huge selection of authentic Rolex watches including Rolex Datejust, Submariner, President, Daytona, Yacht-Master and more. In addition to the 5 -Year Parts and Labor Warranty, we also provide our customers with a FREE Limited Lifetime Warranty on parts.